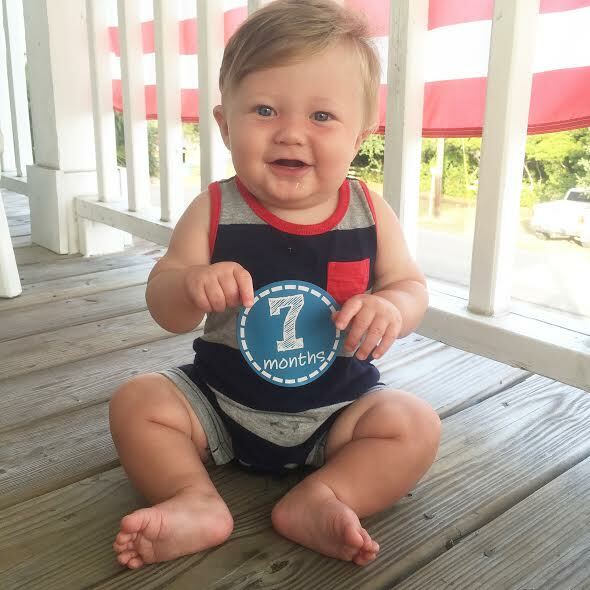 Bennett turned 7 months on July 4th! 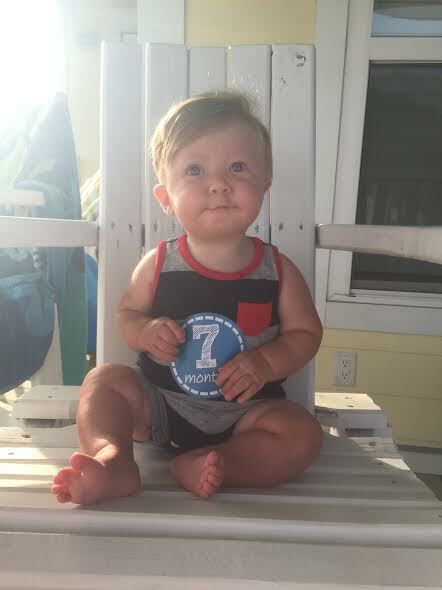 We celebrated his 7mo birthday with a day on the beach on Tybee Island : ) I cannot believe my baby is one month closer to his first birthday and I am already dying inside about it. Can't he stay a baby forever?! Weight/Height: Around 20lbs & 25in. Eyes: Seriously the prettiest blue eyes EVER! Likes: If you follow me on IG (@jamieleakey) you will know Bennett has been LOVING the beach this month. He spent a total of 12 days on the beach this month and played on the beach for hours everyday. He is also really loving being able to try real food. So far he has had eggs, grits, potatoes, & cheese. Dislikes: Same old, same old...being hungry, being hot, & being tired. Really though he is the happiest baby! Eating: Bennett gets 4 bottles/day with 7.5oz of formula. He eats three meals of baby food and enjoys a couple snacks of real food a few times a week (taking it slow). Milestones: Bennett is super close to crawling but still prefers to roll to whatever he wants. He can scoot pretty good and loves trying to get his paci when it's out in front of him. Baby items we can't live without: This month our must have item was beach toys! Bennett mostly played with a set of stacking cups from Target. They were good because they were small but when they were unstacked seemed like a lot of toys. They are plastic and super easy to wash off after a sandy day at the beach. 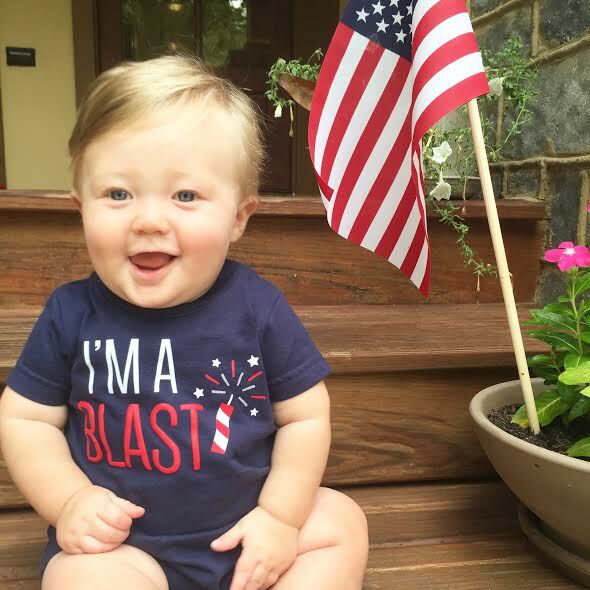 I feel like Bennett is getting so big so fast. 7 months seems so close to a year old and it's just crazy to me. I am trying really hard to preserve this baby stage and soak up every second of it. I do not want him to grow up! !